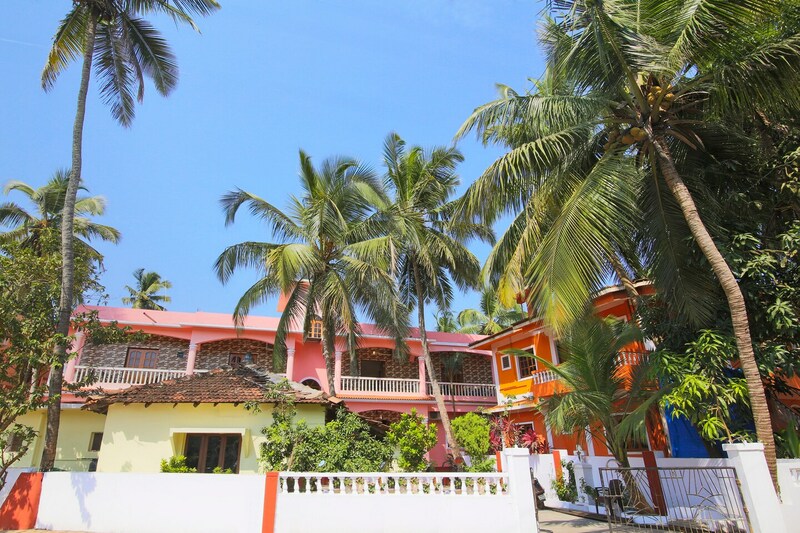 Ramys Inn, located in Agarwado, Baga, Goa, is a cozy hotel with a great view and is situated close to the famous Baga beach. The inn has a few famous tourist spots at a close proximity like Blue Whale water park, Casino Palms and Sunset point. The veranda is airy and has a great green view. The hotel has a seating area for guests to meet and chat. It also has a refrigerator for guests to use. The Hotel provides amenities like free Wi-Fi, AC, TV, power backup and CCTV camera services. A few restaurants close to the hotel are - Fat Fish, Crazy Crabs, De Baga Deck, O'Pescador and Sagar.